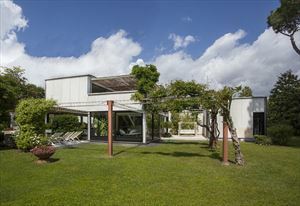 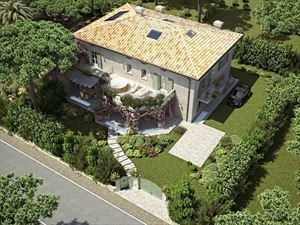 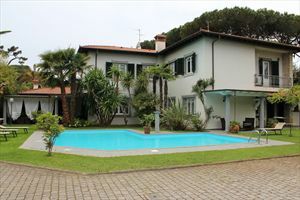 On the ground floor there is a living room with lounge and dining room, attached to a kitchen, a double bedroom, a bathroom with shower and two outside verandas, provided with dining table and garden furniture. 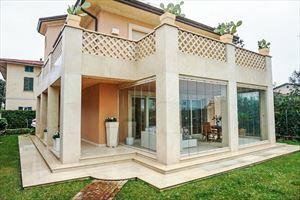 The first floor consists of two double bedrooms with shared terrace, one of which has exclusive service with shower, one twin bedroom, a bathroom with shower and a large terrace with Jacuzzi. 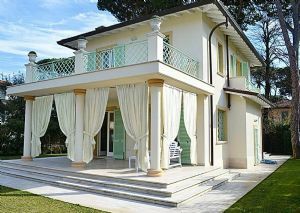 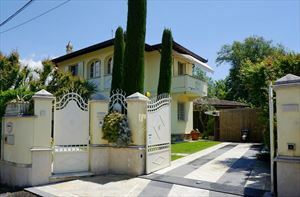 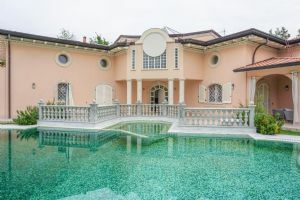 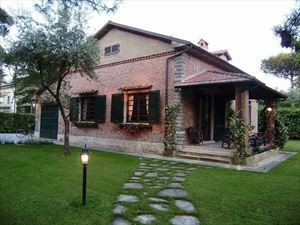 The Villa is also equipped with car parking, air conditioning, Wi-Fi internet connection, automatic gate and alarm system.